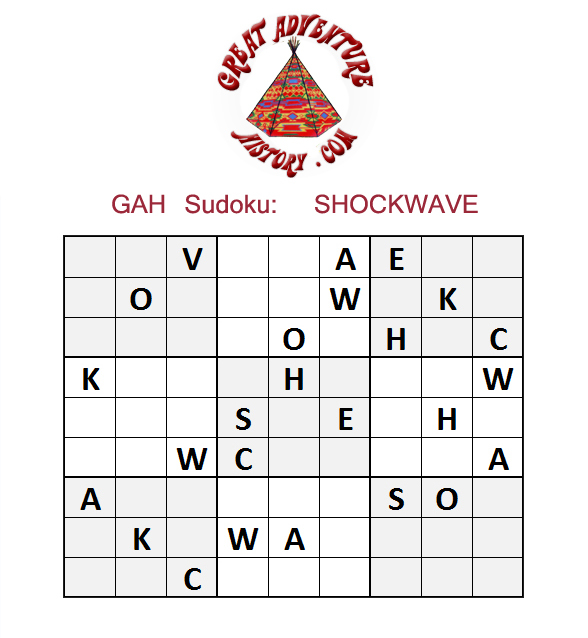 For all you fans of Sudoku, here is a puzzle with a Great Adventure twister. 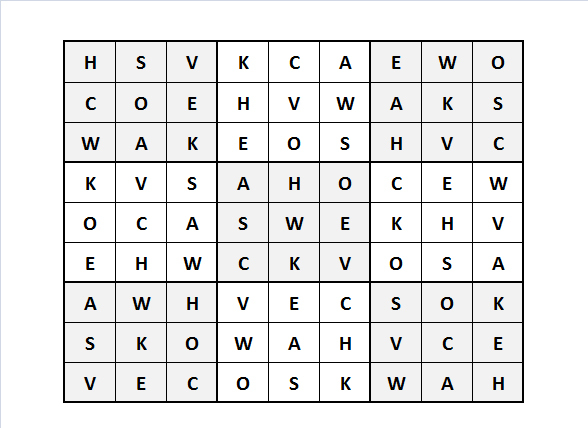 Simply print the puzzle and follow the same rules as a standard Sudoku puzzle. The only difference is instead of using the digits 1 to 9, use the letters in G.A. 's first standup coaster - SHOCKWAVE. I didn't intend for it to be difficult but it surely isn't an easy one! Thanks for posting the solution, I was able to get some of it filled in but am going to use the solution to help me finish it and only look at some of it so it's still a challenge.